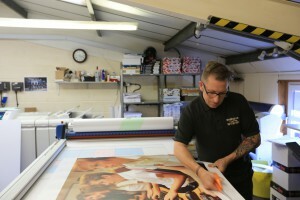 Our large format equipment allows us to offer poster printing up to A0 size on to a wide range of materials. If posters are to be used outside for a few months to promote an event our weather resistant material will be more than capable of handling the challenge. Alternatively if it is a more art board feel for internal usage you would like to achieve, we have materials to suit that too. We regularly work with people organising a wide range of events; from local village fete’s to National Theater Productions. This wide range of customer that we service means that we truly do understand that one size does not necessarily fit all and are able to tailor to your specific needs.